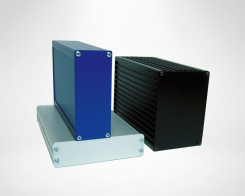 Housing, housing profiles and construction profiles made of naturally anodised aluminium. 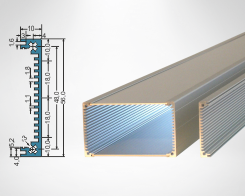 Standardised aluminium profile housings. Customer-specific dimensions are possible due to our own production. 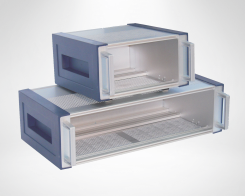 19-inch subrack and 19-inch desktop housing for the installation of electronic circuits in Eurocard format. 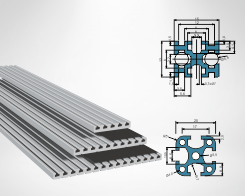 Aluminium profiles for the construction of CNC-machines as well as for the construction of worktables, frames etc.